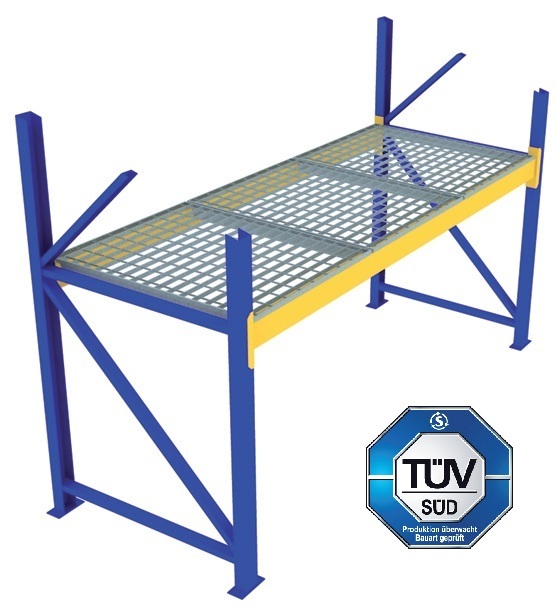 MEA racking deck modules are the only racking decks to have been awarded a TÜV SÜD design type certificate. There is no possibility of unexpected rigidity failure. In addition to the shown MEA deck modules, we offer further sizes in our standard product range. The dimensions can naturally also be adapted to your specific requirements. MEA racking deck modules have been designed specifically as racking bays and offer you a multitude of benefits. Future-proof investment: When upgrading to a higher load-bearing capacity/type, MEA will accept your existing undamaged deck modules in part exchange, irrespective of their service life.